Turkey’s plastics industry is on an upward curve, with the organisers of Plast Eurasia revealing that the country produced $33.8 billion (€31 billion) in plastics in 2016. This sum of plastics production amounted to 8.9 million tonnes, which is a 3.5 per cent jump in production on a quality basis, and a three per cent increase on a value basis compared to in 2015. Some 4.95 million tonnes of this was exported in the form of semi-finished products and finished products to the automotive, packaging, construction and electronics industries, while 3.95 million tonnes were purchased within the Turkish marketplace. Turkey’s plastics industry is thriving as an export market, with Turkish plastics products being exported to some 205 countries.In addition to high exports of plastic products, investment in plastics machinery rose by five per cent year-on-year to $880 million. Between 2012 and 2016, presses and similar machines made up 37 per cent of the Turkish plastics machinery market, injection moulding machinery accounted for 23 per cent, extrusion technology accounted for 19 per cent, thermoforming accounted for four per cent and the remainder accounted for other technologies and parts. 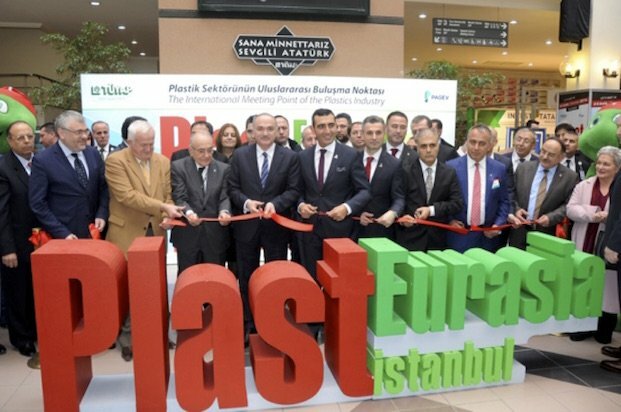 Plast Eurasia in İstanbul, which attracts a large audience from both Turkey and abroad, welcomed 5,116 foreign visitors from 84 countries in 2016 and 957 exhibitors from 41 countries. The show is proud to be an industry focal point and serves as the flagship show for the Turkish plastics industry.Plast Eurasia 2017 will be held at Tüyap Fair and Convention Centre on December 6th – 9th 2017.